This entry was posted in Be Prepared, Facebook, Tips, Twitter and tagged facebook, Hashtag, Instagram, Nemo, Privacy Settings, Snow, Snowstorm, twitter by BrianBish. Bookmark the permalink. You always have the best advice, Brian! Clear and laid out with a terrific sense of humor. Thanks so much, Lisa! 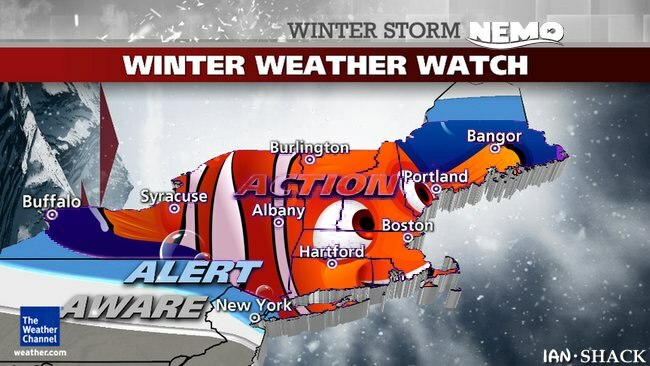 Any advice on what you’ll do to survive Nemo? Finish a good book and make homemade pizza for my sons. Homemade pizza? Do you deliver? I’m going to Inhail the pantry. #5. Binge on food when snowed in. Love this and I am about to REBOOT! I’m doing Hoot suite later!! And it’s SO true. People (myself included) forget history and go right to pop culture and Pixar. Excellent point! Brian, I loved this, what great ideas and advice!